Flexibility is a key priority to our customers. We will always offer the best solution to your requirements and ensure your needs are met at all times. We aim to answer all requests within four hours but recognise that sometimes you need an immediate answer. Good people have been a constant in our business, so rest assured that you will be dealing with knowledgeable staff who care about your job. 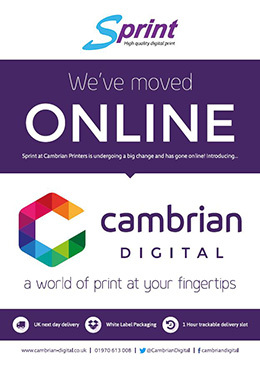 Cambrian Printers is a family owned Colour Printing business that has been constantly evolving since 1860. Our reputation is built on quality, service and technical excellence. Our commitment to reducing our environmental impact has made us acknowledged market leaders. With heritage stretching back to the days of hot metal we now run state of the art pre-press systems and presses to offer colour print quality few can better. This alongside in-house finishing and mailing makes us the printer of choice for a number of the world’s top publishers of journals, books (including hardcover books), magazines, catalogues and a wide range of commercial products such as business stationery. Not only do we provide a fantastic service printing brochures booklets and catalogues but we also have our “Sprint” digital printing team who can print a a wide variety of things from compliment slips, roller banners and business cards. What you want printed is down to you. You can follow one of our design templates or create one of your own and we know with things like a folded leaflet or business cards fast turnaround is important. We pride ourselves on this. Always focus on you, the customer and aim to exceed expectations. Offer print quality unsurpassed in our sector at competitive prices. Use in-house finishing equipment to offer turnaround times not possible elsewhere. Offer flexible solutions for mailing, fulfilment and personalised print on your orders. Maintain our world class reputation for environmental best practice and corporate social responsibility. 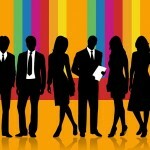 Deliver exceptional customer service focused on getting it right, on time, every time. Cambrian Printers was amongst the first to invest in digital print technology with our first HP Indigo Press being installed in 2005. We have come a long way since then, constantly achieving vibrant colour printing through our highly advanced litho printing and digital printing techniques. If your business needs any mass produced printed products such as books, leaflets, magazines, catalogues or any other commercial material, Cambrian Printers is here to help. We specialise in catalogue printing, colour magazine printing and colour book printing and are experts in luxury brochure printing. Here at Cambrian Printers we set the bar for when it comes to high quality colour printing and have a range of products and services. If you need a company to print brochures or catalogues we are the go to specialists. Colour magazine printing and colour book printing as well as journal printing are other services we pride ourselves on at Cambrian Printers and well as the printing of premium quality presentation folders. We have years of experience in educational and academic colour book printing too, having printed a range of textbooks and academic materials over the years. Our colour book printing services have been chosen by many of the world’s leading textbook publishers, and we’re confident that we can meet your colour book printing needs today. 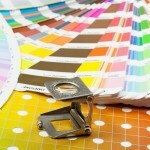 Our team here at Cambrian Printers is highly skilled in colour magazine printing. Our print, finish and fulfilment services allow us to have the most suitable and cost-effective solution for all your printing needs. Our finishing methods are second to none so if you require PUR perfect bound booklets, stapled booklets, spiral binding or folded leaflets we are sure to be able to help with your interior design tips. We can also help with the printing of hardcover books and can custom print business stationery for an impressive corporate look. Folded leaflets are one of our more common requests and so we have the skills and expertise to ensure the product you order will be of the highest standard. Cambrian Printers presses, proofs and plates are calibrated to the ISO12647 colour standard. This allows all of our colour printing of booklets and brochures to meet our high standards of quality assurance, ensuing that every print that we produce here at Cambrian Printers is printed with the exact same shades and colours, even when they are several print runs apart. We are also specialists in high pagination colour printing. The presses we use to perfect our catalogue printing, our colour book printing and our colour magazine printing include the HP Indigo 5600 & 7800 presses, the KBA Rapida 106–10 colour perfecting press and the Heidelberg Stahl KH 82 Folder B1. At Cambrian Printers we use a state of the art press which allows all of our catalogue printing to be completed to the highest standard, producing vibrant colours on each piece we print. We aren’t just limited to paper either; we can print on anything with a smooth surface – whatever your catalogue printing needs, make sure you call Cambrian Printers today. As market leaders in colour magazine printing we make a conscious effort to be as environmentally friendly as possible while providing the premium quality service at the most competitive prices that we are known for. If your company needs any colour magazine printing for commercial products such as a booklet or brochure, we have the skilled staff and expert presses you need today. If you have any queries about any of our colour printing services, such as our high quality brochure printing, please do not hesitate to contact us on 01970 62711 or e-mail us at sales@cambrian-printers.co.uk. We offer printing services across the UK, including Birmingham and Manchester. Take a look at our printing services Birmingham or printing services Manchester and we’ll take care of your next printing project, from brochures to stationary, our state of the art printing presses and passionate team will help you every step of the way.